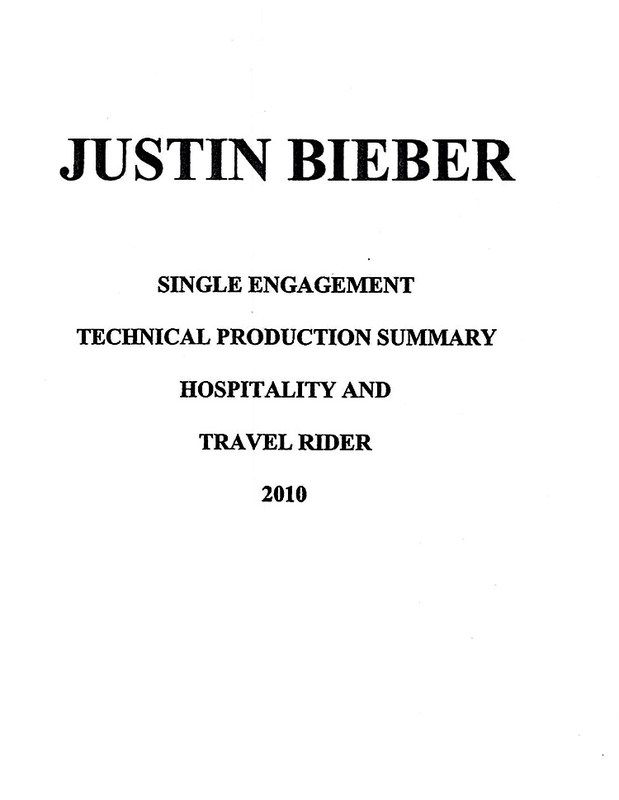 Turns out Justin Bieber’s tour rider is as squeaky clean as the 16-year-old pop star himself. 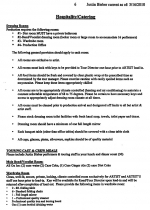 No booze or hashish or condoms. 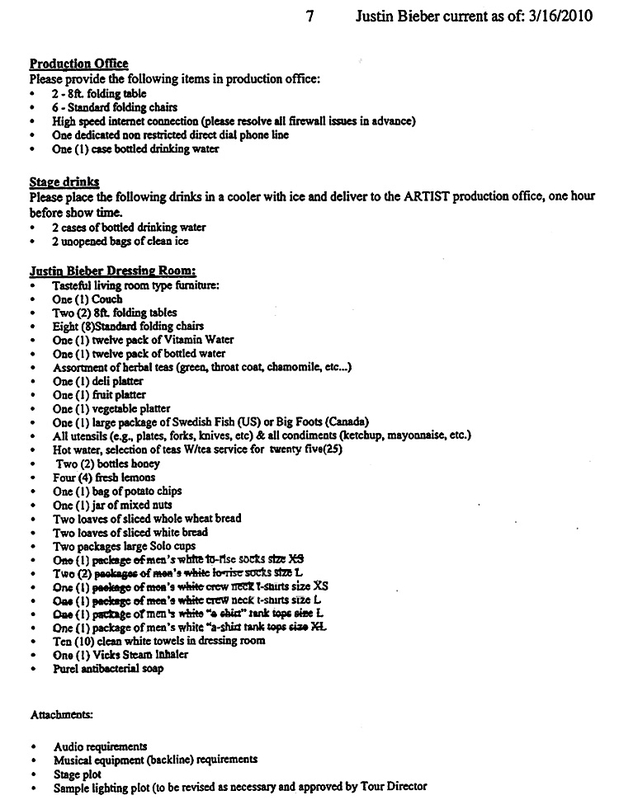 The singer just wants concert promoters to outfit his dressing room with mixed nuts, potato chips, herbal teas, some Vitamin Water, and deli, vegetable, and fruit platters, according to this excerpt from Bieber's 2010 tour rider. 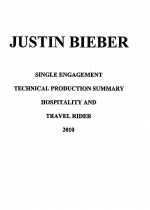 Young Bieberphiles may also be interested to know that the performer’s candy requests revolve around gummy treats: Swedish Fish (when the singer is in the U.S.) and Big Foot (for Canadian gigs). 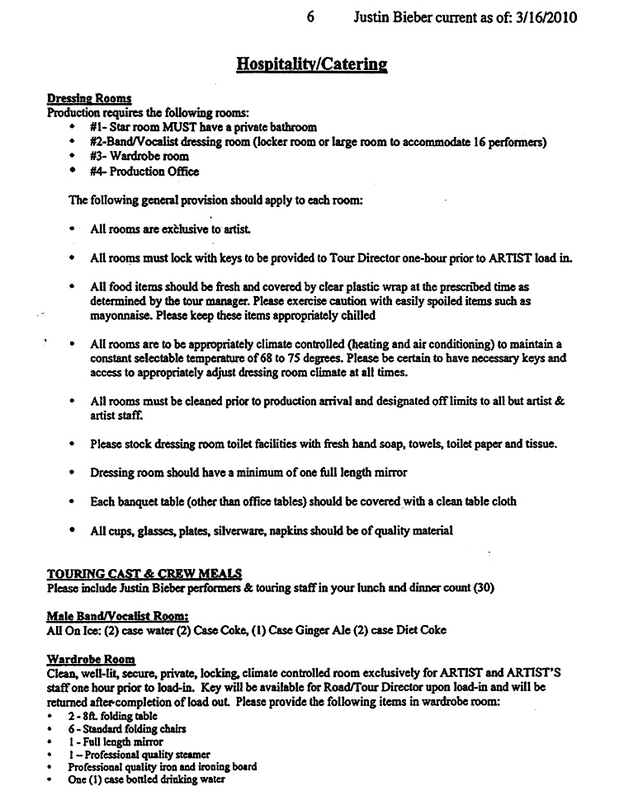 The singer also requires one Vicks Personal Steam Inhaler, Purell antibacterial soap, and an assortment of plain white t-shirts and “lo-rise” socks. 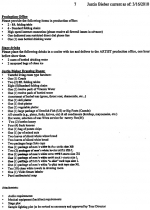 We’ll assume that the “XS” ones are for the pint-sized Bieber. Submitted by Paladin59 on Fri, 2011-05-27 12:11. Submitted by FormulaKimball on Wed, 2011-05-18 13:04. I guess you go through a lot of sweaty socks and shirts during a performance when you wear white... does he change them every couple of songs? Ha. Submitted by ConConsCorner on Thu, 2011-03-10 17:18. Submitted by damnedtime on Fri, 2010-12-10 02:23. Confirmed my suspicions, submitter hates rock, loves Justin. Damn looks like next generation, all going gay, no repopulation, end of man kind, we're screwed. To Quote John Lennon... "Let it be, Let it be, Let it be, Let it Beee dropped the soap don't pick it up, let it be..."